Weekends are the only time The Canadian One and I get to have breakfast together and it’s usually of an egg variety. Back when The Canadian One and I lived separately he became the master of scrambled eggs but nowadays, we’ve upped the fanciness of our breakfasts and now enjoy omelettes as part of our morning menu. Usually The Canadian One will make the lattes while I make the omelettes. 1. Whisk together the eggs, salt, pepper, onion, cheese, water and any optional extras you want to add. 2. Melt the butter in a large pan. 3. Pour the egg mixture into the pan. 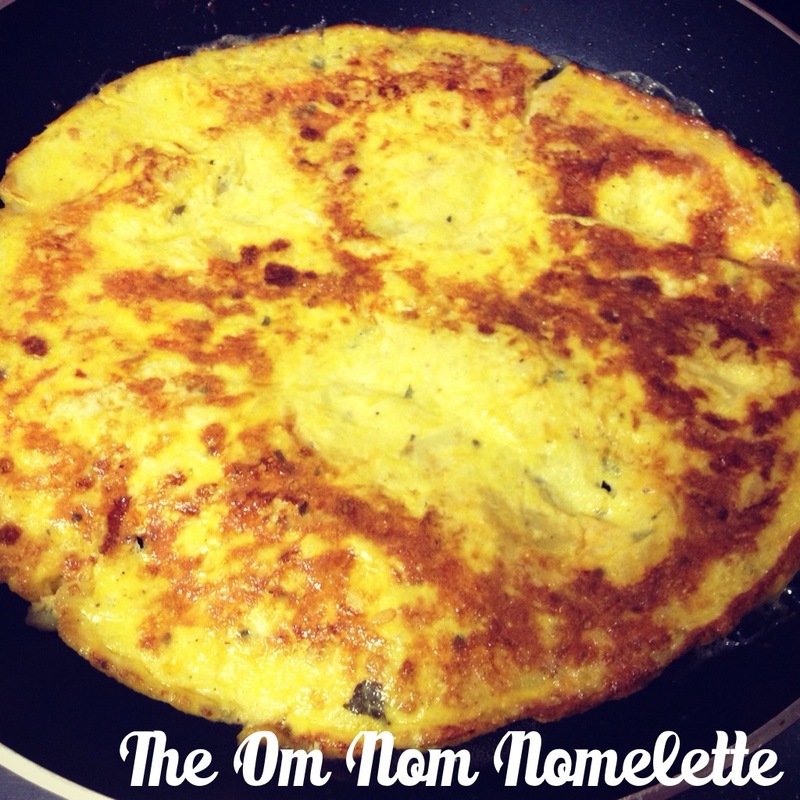 Lift the edges of the omelette to allow the uncooked egg to flow under the cooked portion. 4. Flip the omelette over to lightly brown the other side. I’m not gonna lie, this bit takes some skill. 5. Fry until golden brown and turn out onto a plate. 6. Serve with buttered toast, a latte and orange juice for the perfect Sunday morning breakfast.